Join Mark Brewer and Kristine Hofstra, TEAM RUBI, in the mission is to see an end to HIV and AIDS, and end to discrimination, and an end to intolerance and injustice. Mark and Kristine will be participating in AIDS/LifeCycle, a 545-mile bike ride from San Francisco to Los Angeles to raise funds for the life-saving services offered by San Francisco AIDS Foundation and the Los Angeles LGBT Center taking place June 5th to the 8th. 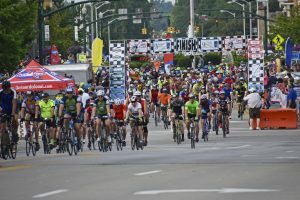 For its third year in Troy, the Tour de Donut ride will once again start and end around the square of historic downtown Troy on Saturday, August 24, 2019. Last year’s event in Troy brought in 2700 riders, the largest participation number to date. Being Ohio’s largest one-day bicycle event, 2018 cyclists traveled to the Tour de Donut from 28 states and Canada. For 2019, the Tour de Donut once again welcomes Be The Match as their official charity partner. For the runners/walkers out there, Be The Match invites you to participate in the Buckeye Donut Dash. This 5k will begin in downtown Troy at 8:30am on Saturday, August 24, 2019 running simultaneously with the Tour de Donut. The Buckeye Donut Dash raises funds to help patients in need of a bone marrow transplant. With your support in fundraising, you help more patients afford transplants, add potential marrow donors to the Be The Match Registry and make more life-saving research possible. The Tour de Donut is a unique bicycle event in which participants’ ability to eat donuts is just as important as their ability to ride their bicycle. During this timed bicycle event, riders visit donut stops along the course. For each donut the rider will eat (and keeps down), five minutes will be deducted from their ride time. 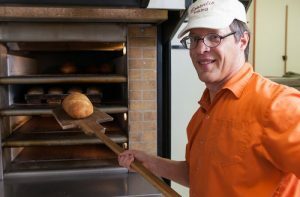 The Glazer, a special donut stop, will return by popular demand. Each donut eaten at this stop is worth a ten minute deduction in ride time. A competition will be held between area donut shops during the Troy Strawberry Festival in June to choose the coveted special glazer donut. Traditionally there have been three distances offered for the Tour de Donut, 16, 32, & 64 miles, but in 2019, an additional distance will be introduced. A 10-mile ride on the bike path will be offered for those beginners or young riders who want to participate, but do not feel comfortable riding on the road with other riders due to car traffic. The Donut Mini will return with one donut stop. The Full will offer two donut stops. And, for the experienced cyclist, the Double D Challenge will have three donut stops. New this year, the winner of each category for each ride will receive a Championship Jersey compliments of Kettering Health Network. A free children’s bike ride will take place at 8 a.m. on N. Market Street. 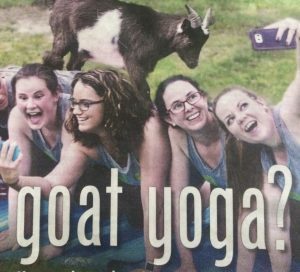 Anyone interested can register the day of the event at The Rec parking lot in downtown Troy. 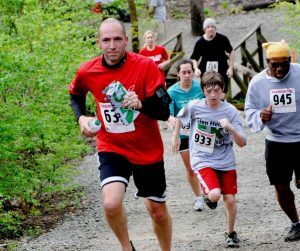 All children participating will receive a free T-shirt, finisher medal and all the donuts and milk they care to eat courtesy of Orthopedic Associates of Southwest Ohio. 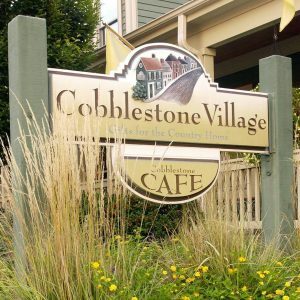 Due to packet pickup on Friday, August 24th, an evening event has been designed to welcome riders, runners and residents to this beautiful area. 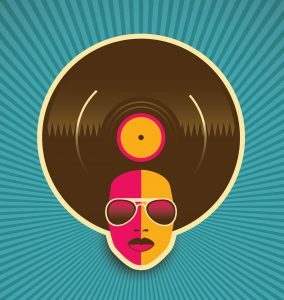 This event, “Donut Jam”, will highlight bands, a donut eating contest, beer and food trucks, many children’s activities and the popular shops and restaurants in downtown Troy. Saturday’s festivities will begin early with registration starting at 5:30 am. Not to worry, breakfast foods will be available throughout downtown and at food trucks. Everyone will be gearing up for the 8:30 am start of both the Tour de Donut and the Buckeye Donut Dash. 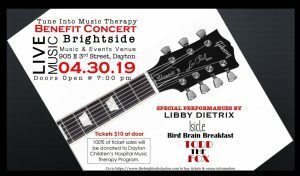 More musical entertainment and children’s activities, along with a visit by the Columbus Zoo, will be a delightful way to spend the morning. Online registration is open for both Cyclists and runners/walkers. Volunteers are needed in a variety of areas including Tour de Donut set-up, the children’s activities area and beer pouring from 11am – 11pm on Friday, August 23 and from 8am – 2pm on Saturday, August 24. If you are interested in volunteering, please contact the Miami County Visitors Bureau at 937-339-1044. 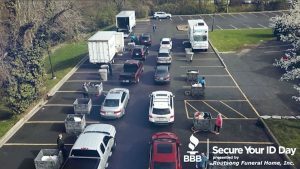 Link’s Winter Warrior Program Returns! 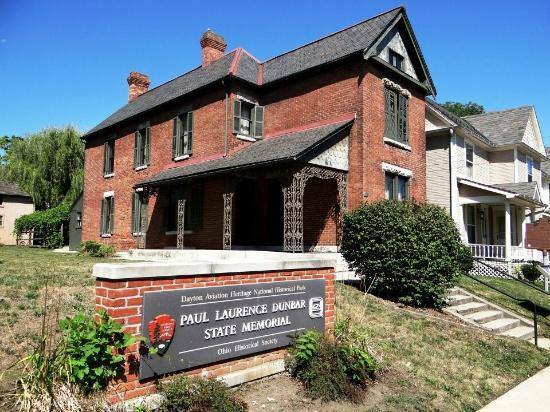 Ride the Wolf Creek Trail to the final home of poet and author Paul Laurence Dunbar. See exhibits on Dunbar’s life and works, and tour the home where he lived with his mother Matilda until his death in 1906. This ride is a great way to get comfortable with cycling. This summer Link is brining back the B2B Challenge for the third year! 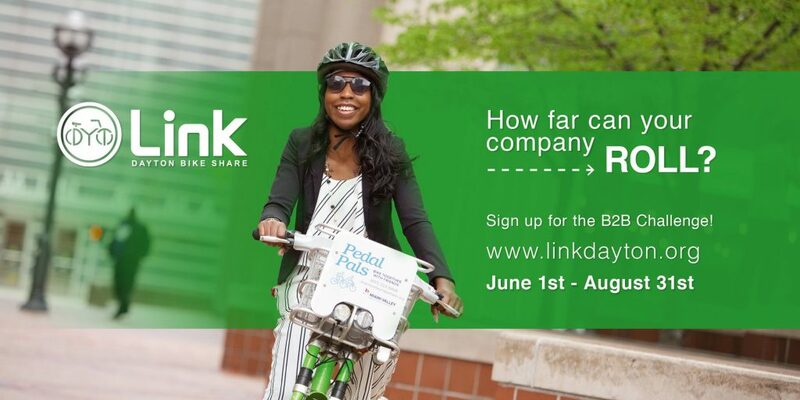 To sign your business up, simply fill out the form here, then encourage your co-workers to sign up and ride! Points will be awarded by dividing the number of trips taken by the number of employees participating. There will also be mini-challenges along the way to award more points. NEW FOR THIS YEAR: This year’s winning workplace will receive a pizza lunch for all their participants in the challenge and the winning business will take home the Link B2B Challenge Trophy! Cyclists riding along the top of Huffman Dam will find a smoother ride, perhaps as early as 2018. The Ohio Department of Natural Resources announced a nearly $244,000 Clean Ohio Trails grant to the Miami Conservancy District (MCD) to build a 0.6-mile trail section on top of the dam. 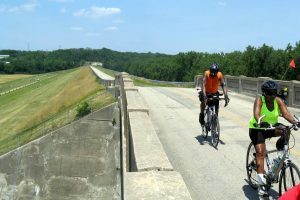 The trail will run along Huffman Dam from the intersection of the Mad River Bike Trail and Wright Brothers-Huffman Prairie Bikeway to Lower Valley Pike near the entrance to Huffman MetroPark. A former roadway on top of the dam has been closed to vehicular traffic for many years. The project cost is about $325,000. MCD will provide the $81,000 match. 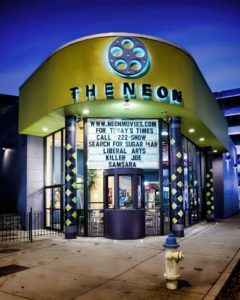 The project is expected to be complete in 2018. 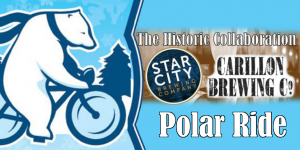 For all you outdoor adventure seekers here’s your chance join up with other like minded cyclists for a brisk, self-paced, 11-mile bicycle ride from Star City Brewing Company to Carillon Brewing Co. over the Miami Valley Bikeways. 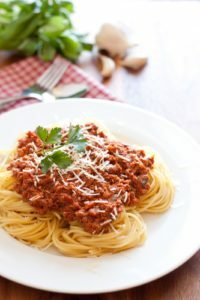 While at either establishment, don’t forget to warm up, eat, and work on The Historic Collaboration challenge. This is the second outing for this group, which will gather at Star City, and begin their journey at 2 pm, making their way to the Miami Valley Bike Trail 25, then head north all the way to Carillon. Everyone is welcome to ride at their own pace. The ride will conclude at the Historic Carillon Brewing Co. The ride is free, but pre-registration is requested- do it online here. 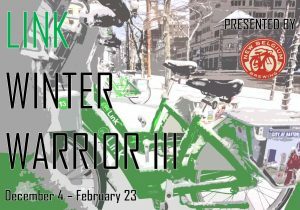 Sign-ups for Winter Warrior III, a bike program for Dayton’s fearless bike riders! This year’s program runs from December 4th to February 23rd of 2017. “The goal of the program is to encourage riders to stay active throughout the winter with a challenge that has something for the competitive folks and those that just want to have fun,” says Chris Buck of Bike Miami Valley. 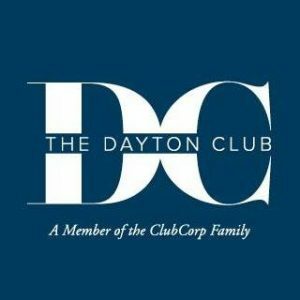 Participants can sign up for Winter Warrior III at Linkdayton.org any point during the challenge period and all trips taken during the three months count retroactively, regardless of sign-up date. All are welcome to join the kickoff party on Friday, December 8, 2017. 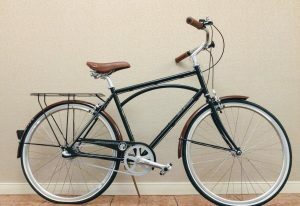 The social will take place at the Trolley Stop from 5:30 PM – 8:00 PM for a chance to meet other warriors and get a first look at this year’s top prize – a cruiser bike donated New Belgium Brewing Company. “My friends and I probably would have stayed in all winter, but instead this challenge got us out riding and having fun. It was awesome,” said Winter Warrior participant, Alexandra Stepanenko. Ride a Bike and Make a Difference during the Gobbler Gives Bike Tour held November 18 in Dayton, OH. Join Tomfoolery for their annual food delivery via bicycle to benefit the Foodbank Dayton. 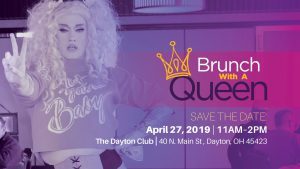 Load up your panniers, baskets, backpacks, trailers with food items and then pedal on a historic tour of Downtown Dayton on our way to the Foodbank Dayton. The route is suitable for beginners to advanced riders. This year the ride starts and finishes at Mike’s Bike Park. 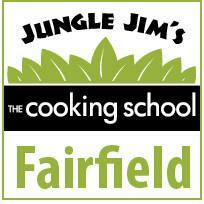 Food collections barrels will be at the park starting November 1st. The route is suitable for beginners to advanced riders. The post-ride celebration is sponsored by Bike Miami Valley that includes a turkey taco bar and a chance to test your skills at Dayton’s indoor bike park. Register today and support those in need in the Miami Valley. 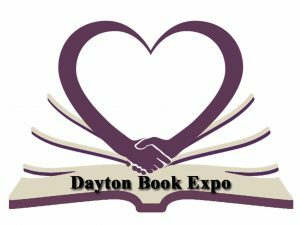 Also NEW this year is a partnership with the Dayton Pedal Wagon. You can leave your bike at home and join 15 other friends on Dayton’s premier party bike. 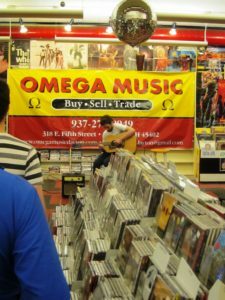 No additional fees apply. 12 pm – 1 pm: Ride back to Mike’s Bike Park. 1 – 3 pm: Post ride celebration at Mike’s Bike Park.